If your resume needs more than a few minor tweaks to get the attention of managers and recruiters, it may be time to roll out a new model. After all, it’s not a form letter — it’s a marketing document, and to reach your target audience, you may need a different format, theme, experience summary or keywords. Plus, your storyline may get lost if you edit the original too many times. Unless you’re pursuing an identical role with similar duties in the same industry, you need to create multiple versions of your resume, especially when facing these circumstances. Here’s a guide to consider. Changing Company Size: The responsibilities, duties and scope of work may differ dramatically between small and large companies. For instance, PMs need completely different skills to manage a large, globally distributed team as opposed to a small, in-house group. 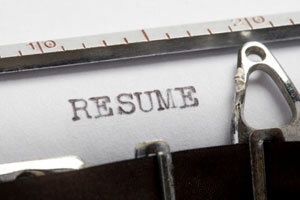 You still need to customize your resume each time you apply for a position. But if you begin with one of these versions, the modifications should be minor, and you can be sure each document you send out is tailored to the individual position you’re applying for – and that’s the most effective approach you can make. An interesting article. The problem I see is that services like USA.gov and Dice.com typically only have room for a few resumes to be uploaded at one time, and often can only have a single resume designated as the “active” resume. Yet, “we” the job applicant are being told constantly to tailor the resume to the specific job posting to get past the automated screening software used by all employers. And to be prepared to apply to a large number of jobs repeatedly. That being said, it appears to me that Dice.com needs to allow 10,000+ resumes to be stored per applicant somewhere, and a way for the applicant to say “this resume to remain active if abc employer looks at it in connection for xyz job posting”. This can be a particular problem wihen applying for a federal job at USA.gov where different federal agencies all share the information between each other, and also expect the resume to be tailored to the job. I do not know what the resume limit is for my university, but I do know that, once a resume is uploaded into their jobs system, it is not “active”–able to be viewed by or sent to employers–until a human reviews it, a process that can take up to a week. !!!!!!! By then, whatever job the applicant wanted to apply for could be long gone. My resumes have always been chronological. The idea that a resme must be tailored to the job isn’t tied to the resume being chronological vs functional. It is really tied to the brain-dead automated resume-scanning software that HR departments everywhere use to automatically discard candidates. I just received an impromptu lecture last week that says “if the job requires that you have 3 years of Java, and you have 15 years of Java, you need to say 3+ years because the 15 will cause the resume to be automatically be discarded”. You can certainly include employment dates in your work history or chronology if you create a functional or hybrid resume. However, IT managers look for relevant skills and similar project experience when selecting contractors. Short gaps don’t matter long as the contractor has current skills. Again, the idea is that one size doesn’t fit all. In your opinion, how much programming knowledge is needed by the crack technical editor and writer. This is a very general question, and I’m requesting simply a general answer. Thank for your time to aswer this. I also want to thank you for the excellent points made in your variety of resumes piece as copied today.